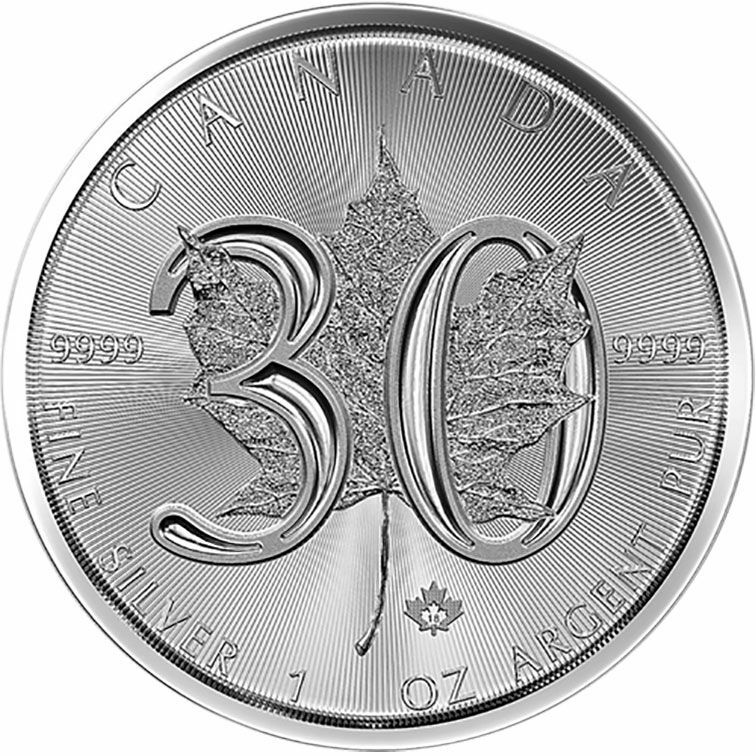 This stunning special Silver Maple has been struck to mark the the 30th Anniversary of the Maple. It features a micro-engraved privy mark with the number 18 (visible under magnification) and on the reverse is the Maple leaf design overlapped by the number 30. 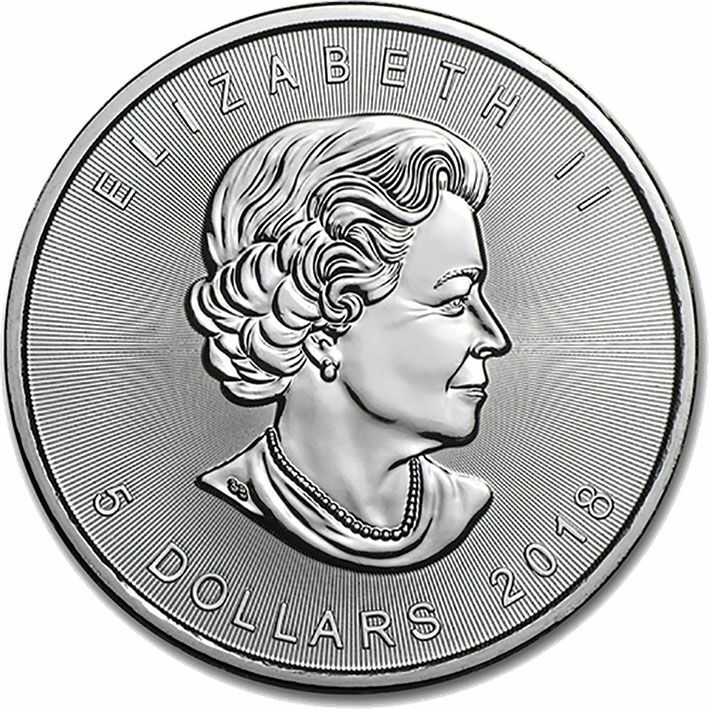 The coin weighs 31.1 grams and measures 38 mm.